Thinking of someone special? 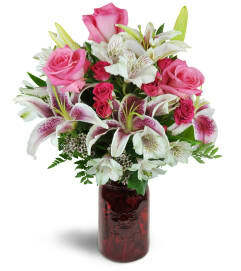 Send A Touch Of Pink™ to say Happy Birthday or to let them know you care. 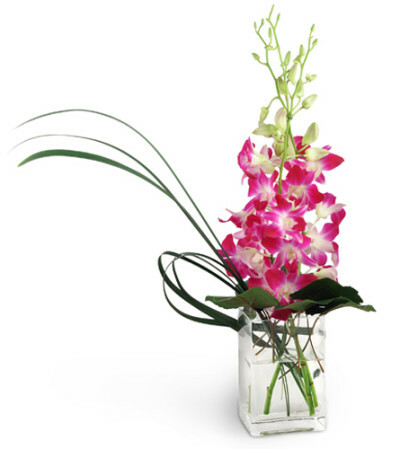 This delightful, sleek arrangement features pink dendrobium orchids in a clear, rectangular vase. A modern way to send classic love. Three stems of dendrobium orchids rise from among monkey grass and galax leaves. I’ve been going to Creations De Belle for various family events through the years... and she has never let me down! 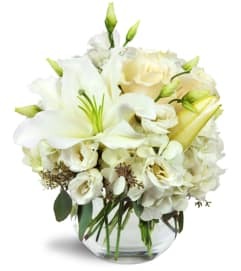 Beautiful flowers, amazing favor and invitation selection! She can decorate any venue! Thank you creations!!!! My mom loved this arrangement for her birthday! Thank you! Very Satisfied with the bouquet, exceeded my expectations.